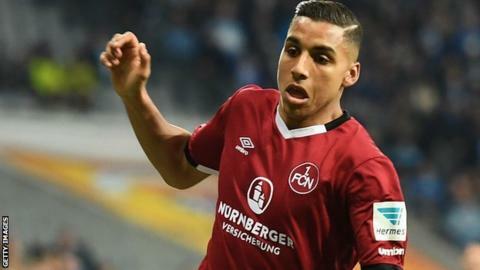 Huddersfield Town have signed Nuremberg forward Abdelhamid Sabiri for an undisclosed fee on a three-year deal. The 20-year-old Moroccan scored five goals in nine Bundesliga 2 appearances last season. Terriers boss David Wagner said: "When I have talked to him, I have been very impressed by how desperate he is to join our club and prove himself at Premier League level. "He is still learning the game and his space to develop is huge."